Get 6 FREE Swing Reviews! *All options are auto-renewing. You can easily cancel at anytime. We stand by our instruction 100% with the golf instruction world's ONLY LIFETIME Money Back Guarantee (learn more)! If you follow our program and don't improve your swing, we will give you every cent back, no questions asked! We've never had anyone ask for their money back, so we know you'll be happy with your improved golf swing! The world's first online golf instruction membership site founded in 2005! "I think Chuck has come very close to developing the perfect golf swing." 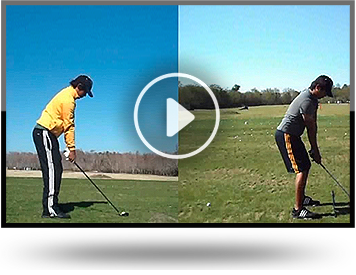 "I can honestly say that Rotary Swing has completely revolutionized the way I think about the golf swing... The website is without a doubt the best golf instruction resource anywhere on the Internet." 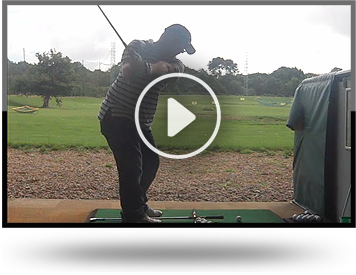 "I'm a 9 handicap, after one lesson with Chuck on the TrackMan I shot 66 in a tournament! 66! I followed that up with a 74 - and I'm a 9 handicap! Mind blowing!" "Handicap has gone from 6 to 1. Picked up a full club distance with irons and 20 yards with driver. Thanks RST!" "I've been a part of RST for the past 4 months, and it has driven my 15 handicap down to a 7 in that time. My swing speed prior to this program was 96 MPH and is now 115 MPH without seeing a day in the gym." "I can't realistically see myself hitting the ball any better or more consistently down the range or on the course than I am now, and I understand my misses now as well." Member responses to "How many yards have you picked up?" "I put down 30-40. Closer to 30 than 40... but, that’s the range. What’s not in the poll question is accuracy, which is way, way up." "30 to 40 yards for me as well, but on some drives it’s a lot more than that." We stand by our instruction. If you follow our program and don't improve your swing to your satisfaction, contact us within 30 days of signup for a full refund. Do all of your Premium Membership options auto-renew? Yes, for your convenience, all options auto-renew, and you can easily cancel at any time. You can easily cancel at any time by clicking "My Subscriptions" in your Member Tools menu and then clicking "cancel" on the specific plan you want to cancel. Do all the Premium Membership options above provide me with the same website features? Yes, each Premium Membership option is exactly the same except for the subscription length.